Tommy Anderson. The Eagles play David Douglas tonight. Tonight, the Eagles will play the David Douglas Scots; the last time the two met the Eagles lost 74-49. The Eagles are hopeful for a different result this time around. 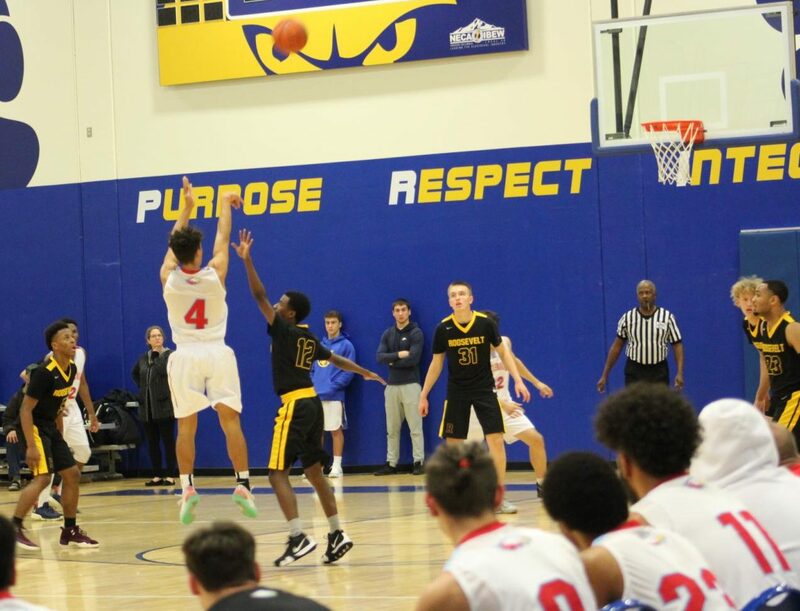 On Wednesday the Centennial Eagles played the Reynolds Raiders and won the game 64-61. The Eagles were on a five-game losing streak, which included losses to Sandy, Gresham, Barlow, Clackamas and Central Catholic prior to Tuesday’s win. The last game they had won prior to this was also a victory against the Raiders. “It’s always better to win,” said Head Coach John Poetsch. “We were knocking down shots,” he added. Jimmy Barton had 30 points, Nathyn Caro added 11, and the two had big 4th quarters with both dropping in 8 points. The Eagles knocked down eight 3 pointers for the game. Last Friday the Eagles lost 72-48 to the Barlow Bruins. Although the Eagles did not win the game, they improved from the last time they faced the Bruins. They improved by slimming down the margin of the final score. “We held their top two scorers (Jesse White and Evan Inglesby) to 16 points each, which is roughly 16 points below what they’ve been averaging,” said Poetsch.